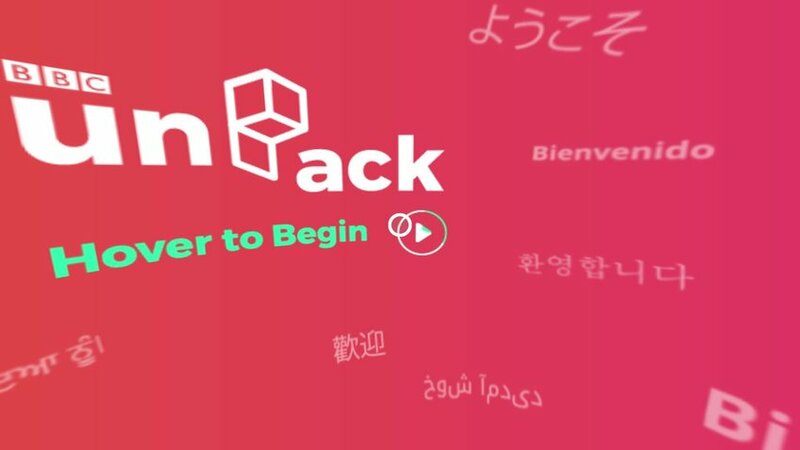 BBC Unpack is a unique set of virtual experiences in a box, offering a warm welcome to resettled refugees and asylum seekers who arrive in the UK. 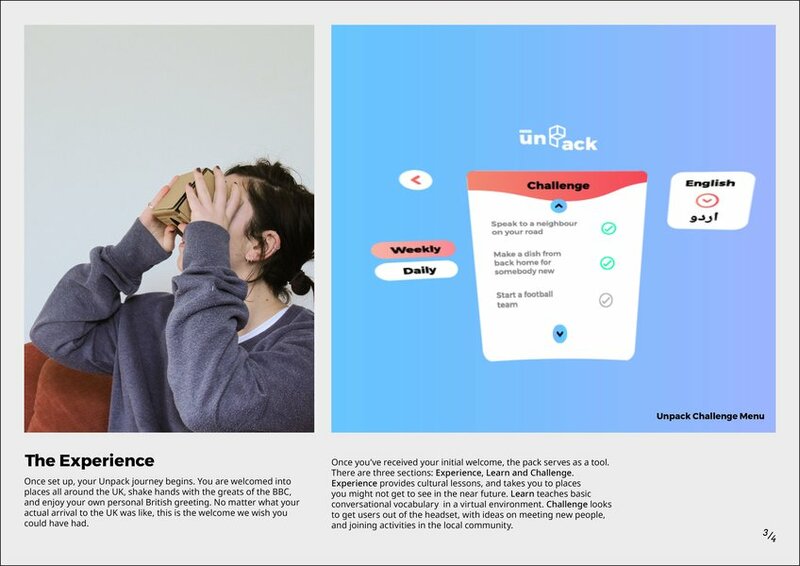 It aims to provide an initial point of contact, connecting them to their new home by providing language learning and encouragement. 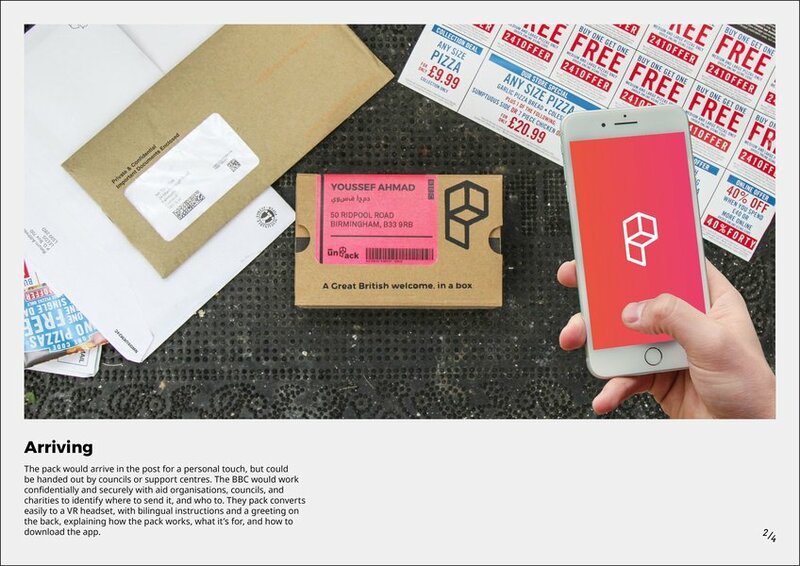 It’s about unpacking Britain, discovering its treasures, quirks and culture. 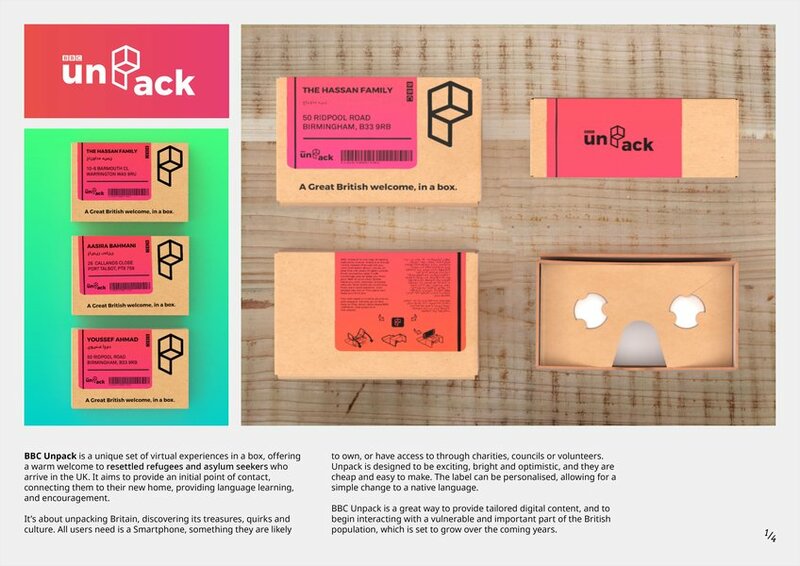 It arrives in the post and is simply folded out into a virtual reality headset. 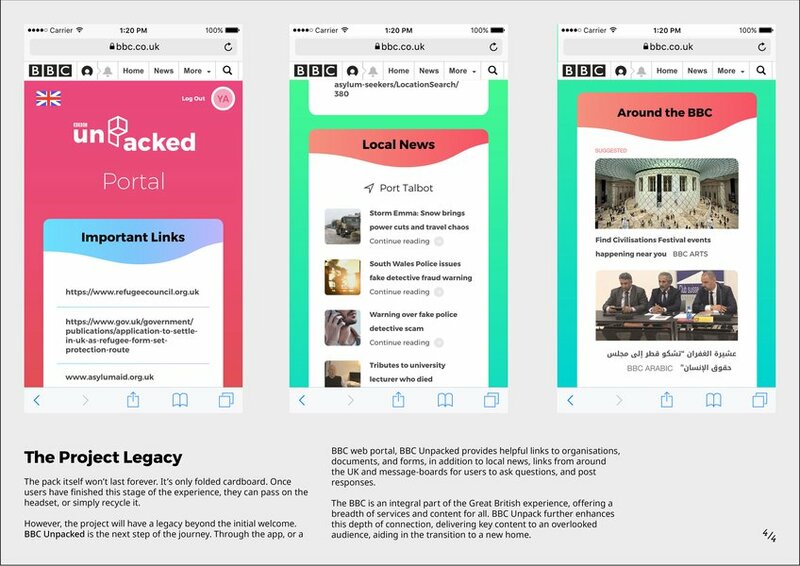 The Unpack builds on the BBC's wealth of services, delivering key content to an overlooked audience and helping in the transition to a new home.